But don’t be afraid to take a different approach — simple, clear and concise. The shareholder letter is an important piece of communication with your investors. The letter certainly gets less attention than your financial results. And in truth, it is often overlooked by ordinary investors and media covering your company, who may perceive it as puffery. 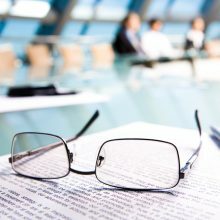 But it is read with interest by professional investors and analysts, because it’s an opportunity for the CEO to clearly lay out his or her vision for the company, align employees and other stakeholders around that vision, and highlight its current progress toward long-term goals, including key milestones achieved. Put the letter through a rigorous review process. The same process you use when you issue a press release or other public statements should be deployed here. The stakes are even higher: A press release can be corrected or amended. Your letter to shareholders will be included in your Annual Report and printed by the thousands. The credibility damage of a letter that includes mistakes or typos will endure. Make sure all appropriate parties — especially your CEO, CFO, general counsel, and investor relations head — review and approve every iteration of the letter. Focus on clarity. Even if all your facts are straight, the value of your letter is diminished if it is poorly written. All business communication must, first, be clear, and your shareholder letter is no exception. Investment analysis is often a very complicated process. Simplify it with liberal use of bullets and cut out the business jargon. Most importantly, stick to what matters to your investors: your recent successes, your immediate prospects, and your long-term objectives. Keep it brief. Brevity is the soul of wit. Warren Buffet can get away with a sweeping letter that that tops 18,000 words and stretches more than 30 pages. You can’t. Many of the best letters to shareholders are a page or two. Cut the baloney. Some executives see the letter to shareholders as an exercise in PR It isn’t. Your letter should be dense with important information about your business. It’s fine to paint your company in a positive light, but not a false light. Make sure you carefully review last year’s letter before drafting this year’s, and update readers on your progress on the expectations you laid out then. Your letter should help get your investors excited about your prospects, but it’s only as valuable as it is credible. Your opening paragraph should set the tone and characterize the year. Fess up to what went wrong. Highlight the challenges the company faced and the path to overcome them in the current year, and beyond. Next comes an overview of your financial benchmarks (revenues, earnings, research and development progression, etc.). Make clear the benchmarks the company is held accountable to and how the company executed against those benchmarks during the year. Now, review the balance sheet and measures of financial health. Move on to a discussion of your important achievements, milestones, progress, and other key business. Finally, provide your outlook. What do you hope to achieve in the current year, and what are the longer-term goals? What differentiates your company from your peers? The annual letter to shareholders isn’t the sexiest part of your investor relations arsenal, but it’s an important one, so take the task seriously. We’ve written and reviewed hundreds of such letters over the years, and we’d be happy to talk more about how make your letter more effective. Just reach out.